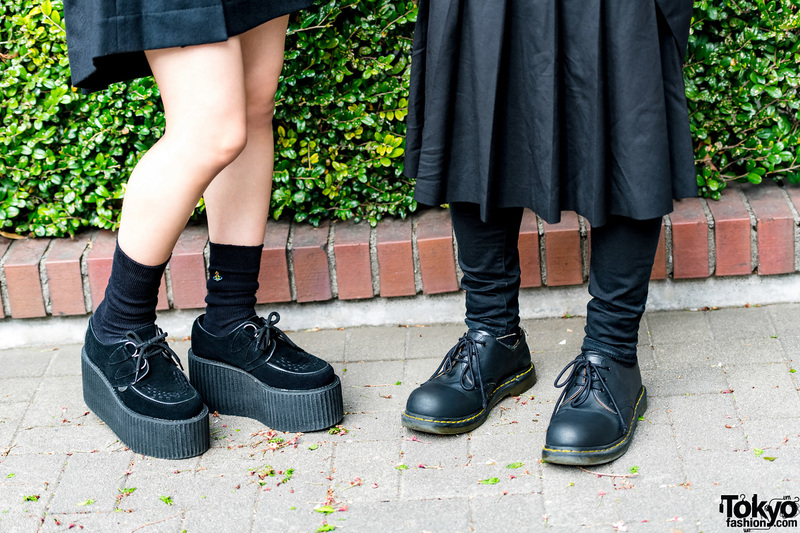 We stumbled upon Japanese students Akita and Yukina, whose all-black street fashion caught our attention in Harajuku. On the left is Yukina, who was difficult to miss with her striking red hair. She donned an outfit from Vivienne Westwood, which included a top and blazer with wide lapels and a front button closure. The 18-year-old also wore a mini skirt, black socks, and black platform wedge sneakers. She finished off her look with black nails, a silver necklace, and a black leather choker. For more on Yukina, follow her on Instagram. 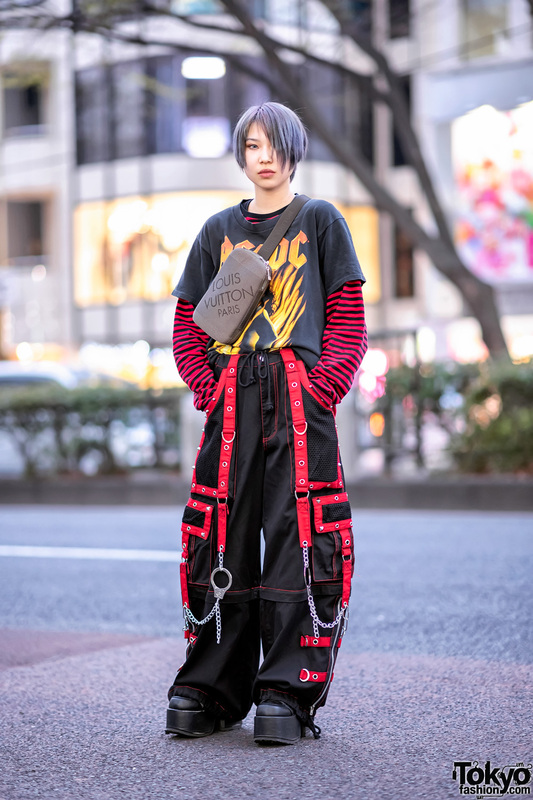 Showcasing an androgynous look, Akita stepped out in an ensemble from Comme des Garçons. He wore a black button-down shirt styled with a gingham scarf and a silver necklace. The 21-year-old also wore a black jacket, a pleated skirt over black skinny jeans, and black leather lace-up shoes. 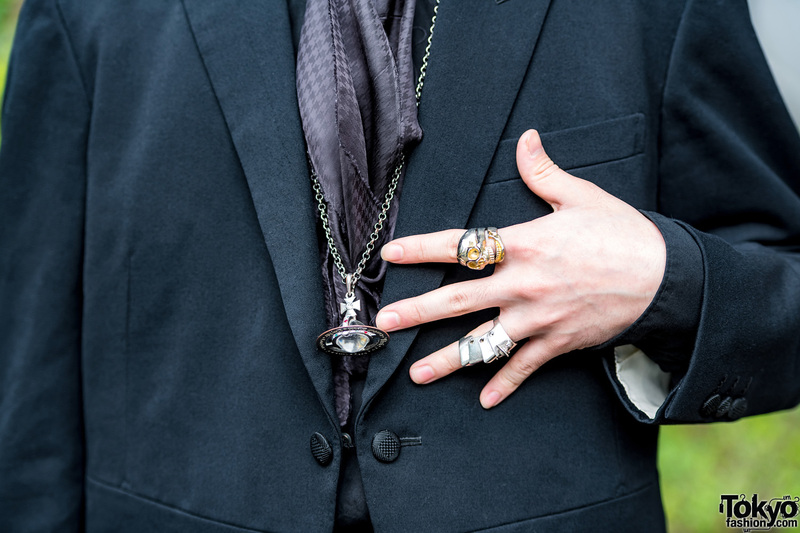 Akita completed his look with a side-swept hairstyle and Vivienne Westwood accessories.